Found this SR in the wild. 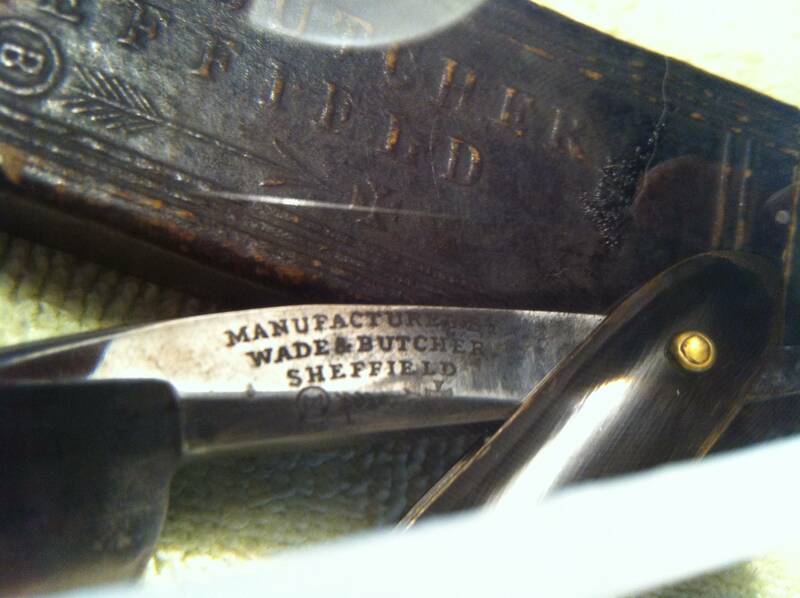 Wade and Butcher. Would any of you guys please tell me more about this and its history, year, and value? 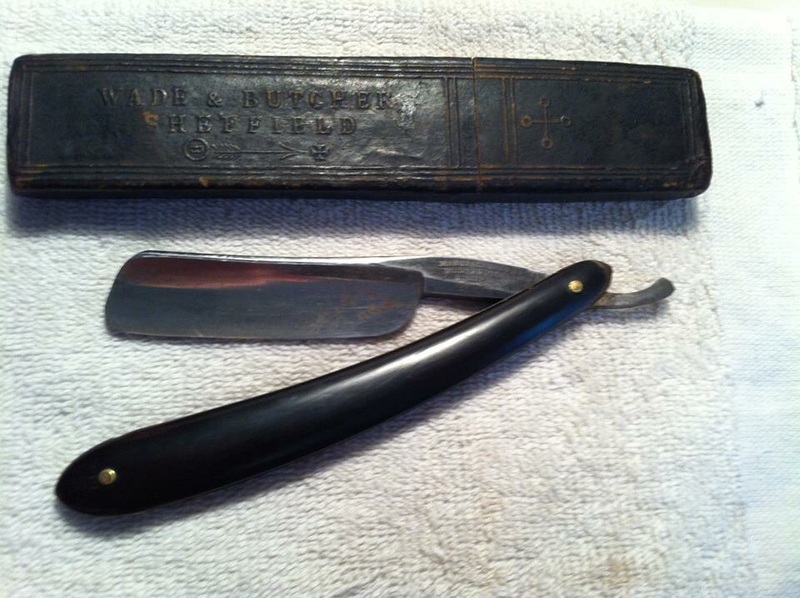 Think just a polished and honed up or a restoration? Great find, friend! Wish I knew something about straights, as I'm still learning myself. Wonderful find. Before 1890 and I suggest about 1860-1870. 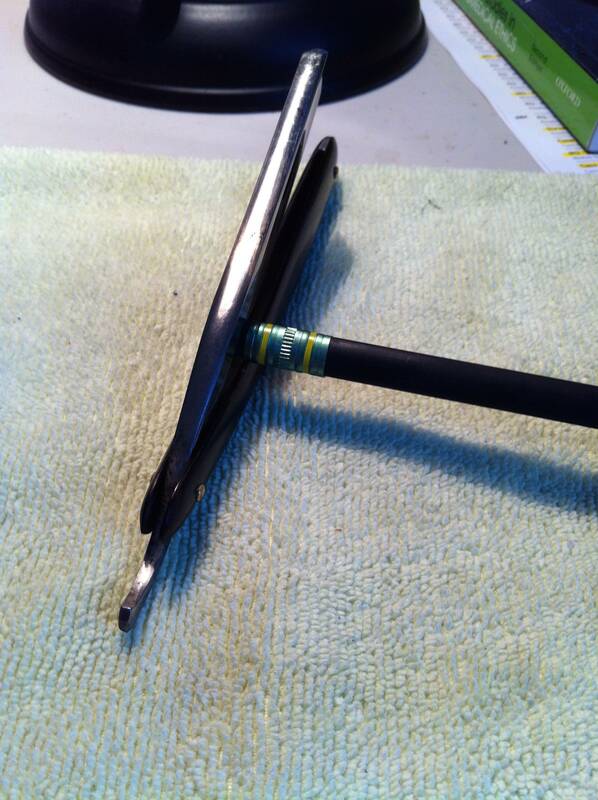 That near wedge/quarter hollow is a grind that I like That razor looks to be unused. Wish't mine had been that nice!!! The French point/toe is a nice touch and helps to shave in tight areas. I've shaved with a stable mate for four years in my rotation. Please, get it professionally honed. Please do not tart it up; those scales are great and bit of hand work will have them shining. 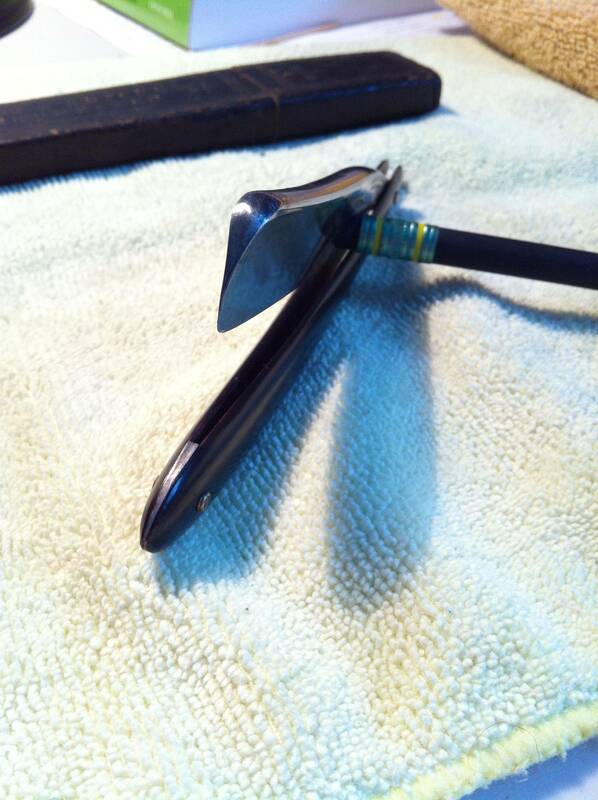 A bit of Crest toothpaste, MAAS or Mother's or headlight polish will bring the blade and scales to perfection. An amateur could ruin the quality of its age... That would be a crying shame! The bit of rust and pitting can be scrubbed out with a toothbrush and tooth paste. Merry Christmas! You made my day! Thank you Geezer! That's good news to hear from you. At least the age of 125, I'm stunned. I will take upon your consideration to get it hone. 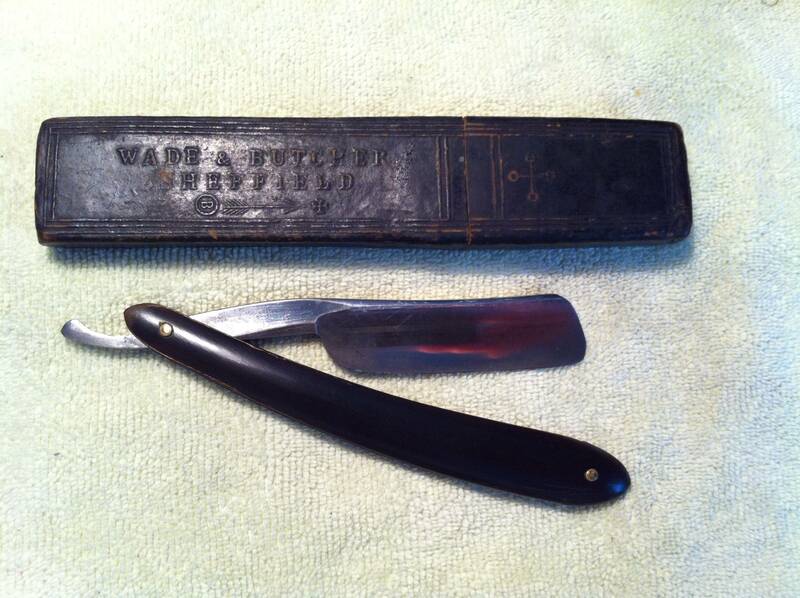 Lynn Abrams out of nowhere contacted me and he want to polished and hone my razor. Thank you for your wonderful words.